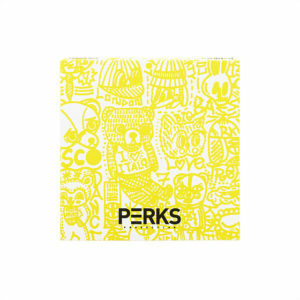 I am delighted to announce my collaboration with Hong Kong based brand PERKS. 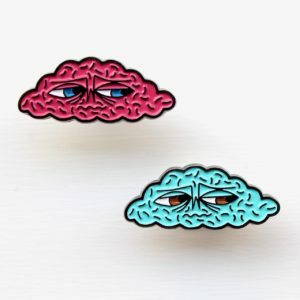 They have produced a stunning set of enamel pin badges. They are 3 characters available. 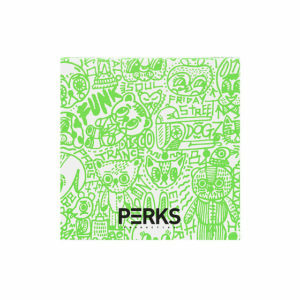 He lives in New York and is known to all the staff of the best record stores in the city. 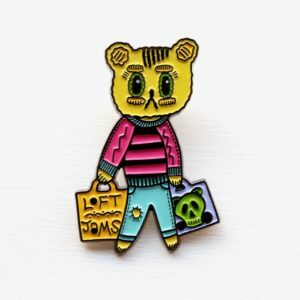 He’s addicted to digging for rare dance music on vinyl, either on 7 or 12 inch format, the records he finds form his huge collection of classic ‘Loft Jams’ that he plays on sound systems every week in secret locations around NYC. L.J.Bear always has his bulging record bags tightly gripped in both hands. He spends so much money on vinyl that he doesn’t have spare money for other things in life, so his clothes are a little scruffy! 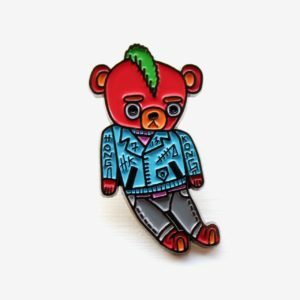 HONG KONG Punk Bear, a red faced teddy bear with a Mohawk. He looks a little sulky, but actually he’s just really serious about the music he listens to. He’s either found in back street records stores or in small dark music venues in the Hong Kong Noise music and Punk scenes. The blue leather biker jacket is his favourite item, which has HONG KONG hand-stitched on the sleeves. He also has his two favourite numbers – ‘7’ and ‘13’ pin badges on the lapels of his jacket. Meanwhile his skinny jeans are from a small store in Harajuku. Classic Cloud is inspired by the fact that Rob was born and raised in England where so much of the time you only see clouds when you look up to the sky! Sometimes he has a worried face and sometimes with a smile, his mood is as unpredictable as the British weather. He’s a good friend to Rob’s other characters and often hovers just above their heads. 上記商品は 店頭または オンラインストア にてお取り扱い中です／ Available at our ONLINE STORE.